The Canadian Stroke Prevention and Intervention Network (C-SPIN) webinar series featured monthly online lectures from new, mid-career and senior health researchers who had a wide range of scientific backgrounds. The C-SPIN webinars provided a forum to discuss the issues relating to essential topics in clinical trial research in Canada. The webinars ran for one hour with an opportunity for audience questions at the end of the talk. For anyone unable to watch the Webinars live, they are posted on this page below the Upcoming C-SPIN Webinars following the presentation for review. Anna Zadunayski is a Calgary-based lawyer, ethicist, writer, editor and busy mother. Her research interests include informed consent, screening, and maternal/child health ethics. Anna is presently a Clinical Ethicist with Alberta Heath services. (2) Identify key elements of informed consent and conflict of interest. (3) Use principles of health care ethics to balance patient interests and research interests. To help us improve future webinars we ask that you follow the link and complete/submit our survey which should not take longer than 5-10 minutes. Please click here. Dr. Michael Hill is a Professor for the Departments of Clinical Neurosciences, Community Health Sciences, Medicine and Radiology at the University of Calgary. He is also Director of the Stroke Unit for the Calgary Stoke Program, Alberta Health Services. • Define what Data Management is. Dr. Carroll is an Assistant Professor at McMaster University in the School of Nursing. She is the Director of Clinical Health Professional Research, Hamilton Health Sciences and an Affiliate Researcher at Population Health Research Institute, Hamilton Health Sciences. 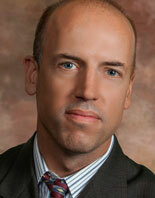 Dr. Carroll holds a Bachelor of Science from the University of Toronto and PhD from McMaster University. Dr. Carroll completed a CIHR Strategic Training Fellowship in the FUTURE Program for Cardiovascular Nurse Scientists and a Post-Doctoral Fellowship through the Heart and Stroke Foundation of Ontario/Michael G. DeGroote Chair in Cardiovascular Nursing Research. 1. To gain an understanding about patient engagement in research. 2. To become familiar with steps to implement of patient engagement in research. 3. To learn how to include and retain patients in a network dynamic. 1. To encourage emerging public speakers to adopt the habits that will foster success. 2. To dissuade emerging public speakers from adopting the habits that will foster failure. 3. To remind emerging public speakers of the tools that encourage effective speaking. 4. To encourage emerging public speakers to avail themselves of every possible opportunity for public speaking experience. 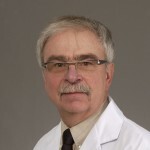 Jack Hirsh, CM FRSC is a Canadian clinician and scientist specializing in anticoagulant therapy and thrombosis. Born in Melbourne, Australia, Hirsh is a graduate of the University of Melbourne Medical School. He studied hematology at Washington University in St. Louis, the London Postgraduate Medical School and the University of Toronto. In 1973 he joined the Faculty of Medicine of McMaster University. He is also the Director of the Hamilton Civic Hospital Research Centre. In 1999, he was made a Member of the Order of Canada in recognition for being “one of the best in his field” and “a renowned medical researcher as well as a teacher and administrator”. In 2000, he was awarded the International Gairdner Research Award “in recognition of his pioneering contributions to our understanding of the diagnosis, prevention and treatment of thromboembolic disorders.” In 2000, he was inducted into the Canadian Medical Hall of Fame. He is also a Fellow of the Royal Society of Canada. (1) Understand the structure of a research protocol. (2) Be able to define the research question. (3) Be able to differentiate between a good question and a trivial question. (4) Be able to determine feasibility. (April 21, 2016 1pm MT) Note: this webinar was not recorded for later viewing. Maria Alejandra Blanco, EdD, is the Associate Dean for Faculty Development at Tufts University School of Medicine and is an Associate Professor in the Department of Psychiatry. Dr. Blanco was appointed Chair of the Faculty Development Group of the Medical Education Scholarship, Research and Evaluation (MESRE) section of the AAMC Group on Educational Affairs (GEA), and is a peer reviewer for Academic Medicine, Medical Education, Teaching and Learning in Medicine, Advances in Health Sciences Education, Journal of Interprofessional Care and MedEdPORTAL. (1) Identify challenges of and strategies for writing effective educational research grant proposals. (2) Appraise elements of a strong educational research grant proposal.